Hey all, it’s been awhile since our last review! In the good ol’ days, I had the bandwidth to write 4k+ word reviews, take dozens of photos and shoot and edit a bunch of HD video. With life being as it is, things change, responsibilities increase, time becomes more limited and that freedom to dwell on, write, photograph and video toys to our hearts content is simply no longer a possible reality here at RTR. The thing is, other than the lack of copious free time… everything else is the same. We’re still knee deep in toys and we still love talking about them. We miss doing rad reviews. So now we’re working to streamline our process to make it possible again! The idea for now, is to stream our reviews live on our new Twitch channel (Please sub! 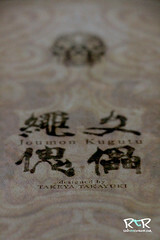 ), then post on Youtube for those who prefer that format. Finally, following up with some pretty photos and a written review a few days later here on this website. Hopefully, this will enable us to pump out the reviews at a regular pace once again, while still bringing you the quality and style we’ve been known for. 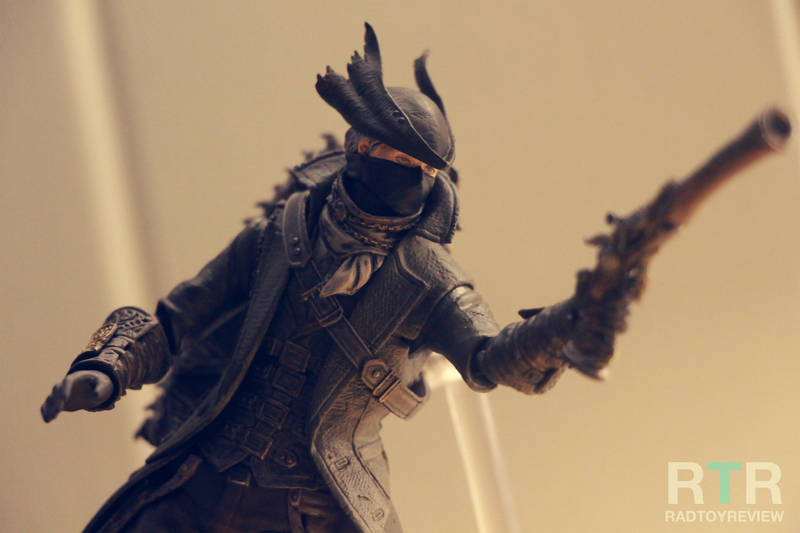 So without further delay, here’s our review of the Figma Bloodborne Hunter. For the live, unboxing review please check out our youtube or twitch channels. 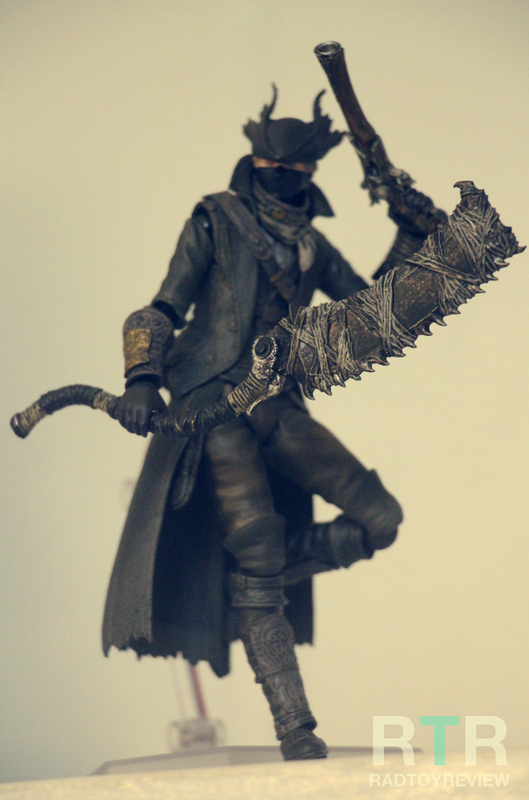 I LOVE Bloodborne. I was never very good at Dark Souls, even though I always find myself buying and dumping some serious game time into them with each new release… eventually, I’d get stuck, I’d get frustrated and then I’d rage quite, never to return. But when Bloodborne came out, I played it beginning to end, fending off all desires to rage quite when stuck and pressed on until I persevered and defeated the last foe. The time period, the creepy atmosphere and the rad looking hero with that insane giant saw cleaver switchblade, ticked all the right boxes for me. 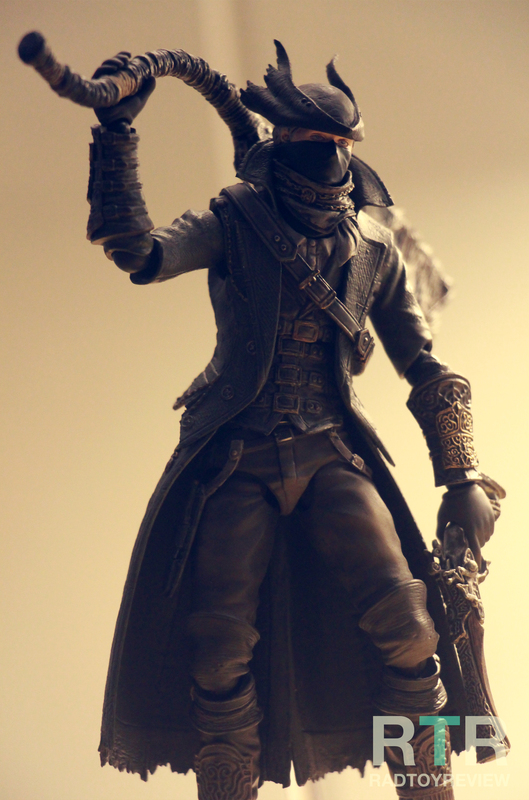 I was able to get my Hunter through Goodsmile several months ago when it went up for preorder. I’m glad I did, because it looks like he’s pretty hard to find now at a decent price now that he’s starting to ship. Figma figures always feel a little steep for me. You’re getting a slightly small for 1/12 scale figure for around $80+, once you lump shipping and everything in. The Hunter is no different.. I think he cost me $90, all in. Sometimes, when I get a figure in hand, the price I paid becomes a faded, distant memory.. it’s no big deal because what I’m holding in my hand feels more than worth it. But I still feel the sting with the Hunter. I don’t regret buying him at all.. but he’s not quite the figure I’d hoped he be. 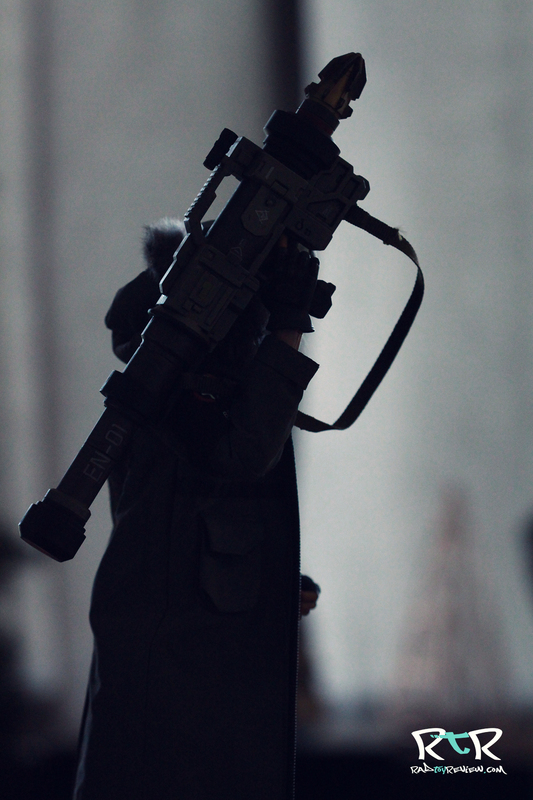 The Hunter comes with a couple weapons and a few extra accessories. A pistol and his amazing switchblade saw cleaver make up his selection of weapons. 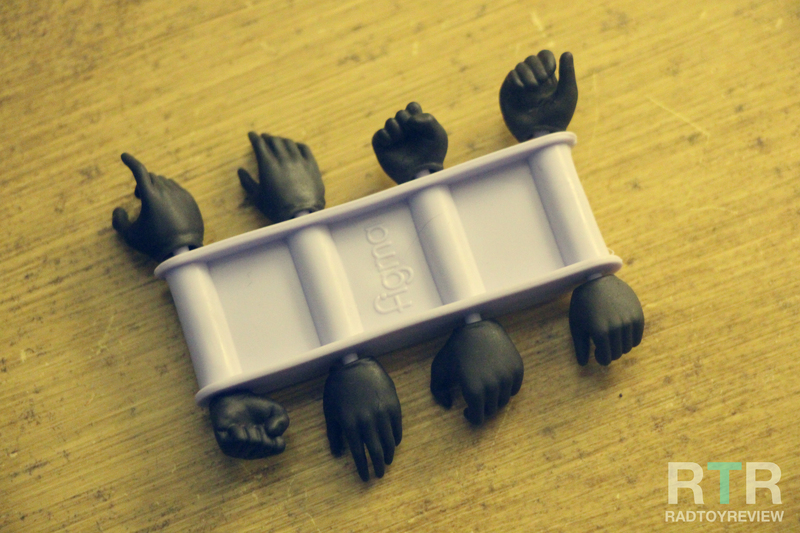 He comes with 4 sets of additional hands and a nifty little plastic hand holding piece. Also included is a handy plastic stand that plugs into his back so you can try to pull off Spiderman-style poses and an officially labeled clear figma plastic baggy. Obviously, the baggy is used to hold a sandwich, maybe some crisps? Let your imagination run wild. 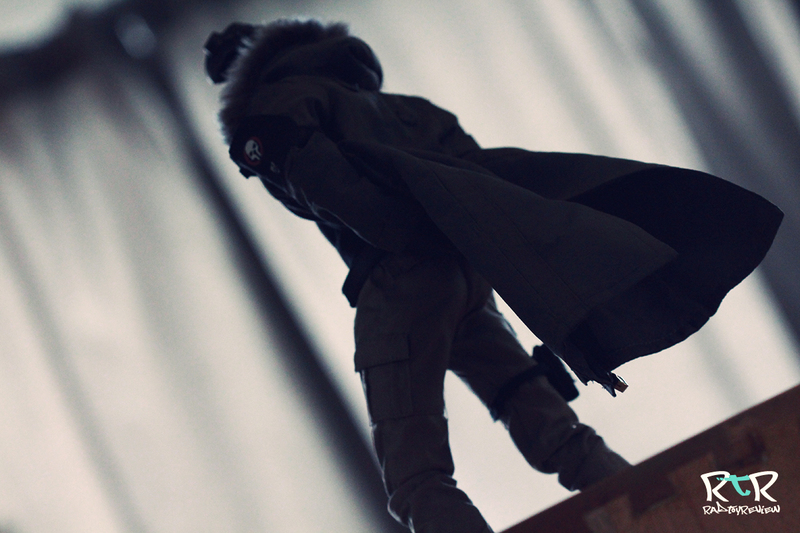 The Hunter’s body is pretty standard for a Figma figure. If you played with with one before you know it’s basically ball joints everywhere. Unfortunately, while you can certainly get some nice looking poses out of him thanks to the generous base articulation, several areas are inhibited by his design. This is most apparent at his hips where he can just barely raise his legs forward due to belt straps in the front and jacket tails in the back. This brings us to the stuff I liked and the stuff I didn’t. Starting with the good stuff. He just looks fantastic. The sculpt and details on him are very accurate to the source material. 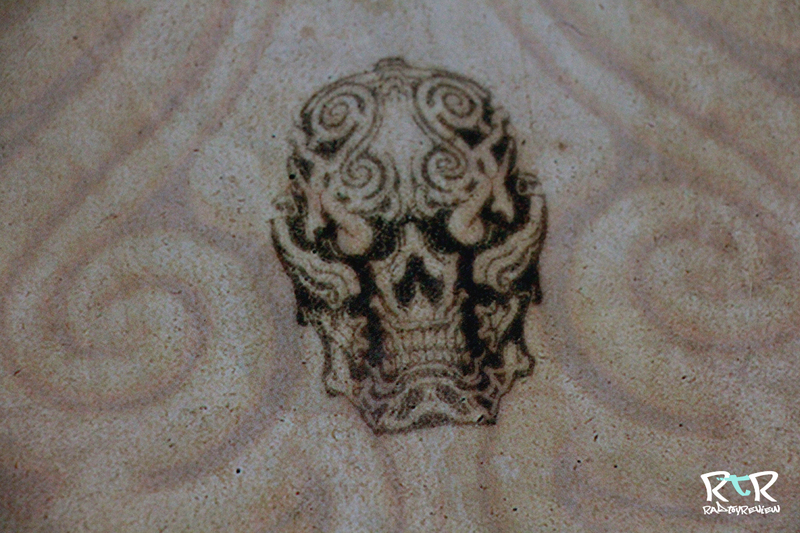 The paint, while mostly dark and lacking much contrasting colors, is clean and well done. His saw cleaver looks wicked and can be folded in half just like in the game. I also love the old style pistol and the details on it are rendered amazingly well. I really dig that he comes with a little holder for all his hands. It’s so much easier to just have this hidden behind him on the shelf to swap out hands whenever I like, than to have to dig out his box and pull them from there. It’s such a simple thing, but it’s great! What’s less than great is the fact that the hands are super soft. The gripping hands, at least. His Saw Cleaver fits in his hand fine, but it’s a bit heavier than the tolerance of his grip will allow for. 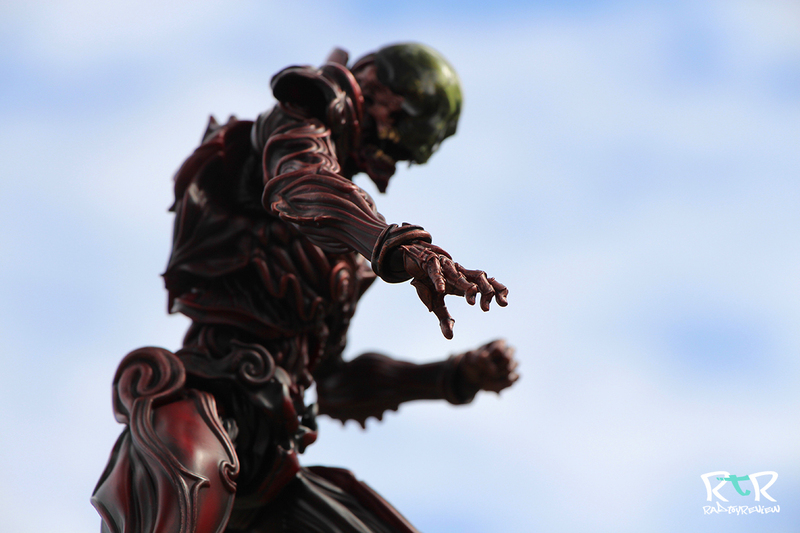 It seems to have loosened up more over time as I played around with posing him for the photos. On top of that, the wrist pegs don’t stay in very well so it’s an additional thing to wrestle with while your trying to get him posed up with the massive blade. While there’s no surprises here, in that I knew what I was getting when I ordered him.. now that I have him in hand, I really wish he came with a few more weapons. Some bombs, throwing knives.. a different type of switchblade weapon, etc. You collect so many interesting weapons and items in the game that it seems like it’d be a no brainer to give him more than a handful (rimshot!) to play with. 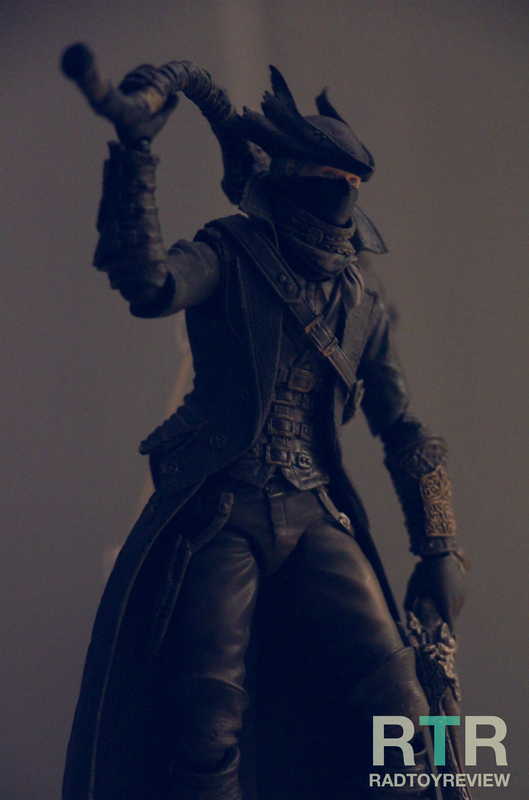 One of the extra set of his hands are smaller grip hands.. but I’m not sure what they’re intended for as they don’t fit around the Saw Cleaver handle or the pistol very well. It’s almost like they’d planned to make a few more things for him to hold early in production and then decided against it once it was factory time. For the money I paid, I really wish they had. It may sound like I have a lot of complaints about this figure.. but really, overall, I dig him. 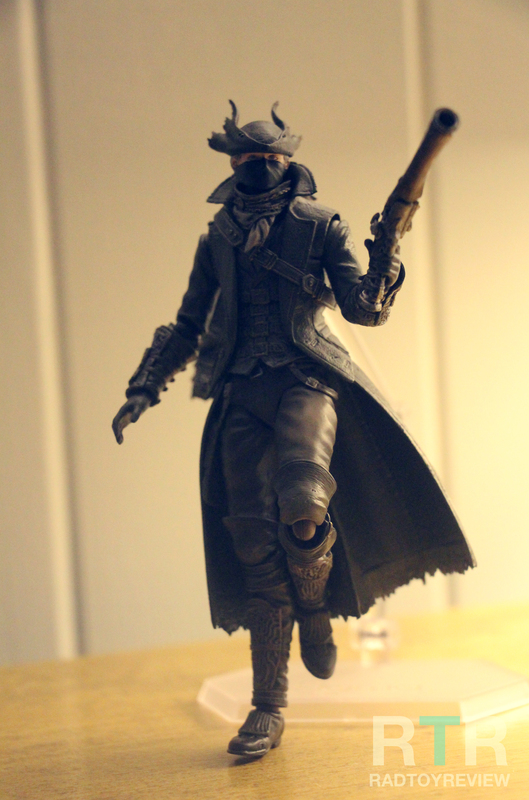 Once I got him posed up nice, I sat him on the corner of my desk and really love the look of him. There’s just a few things that I wish they’d done differently or perhaps simply done more with. If they bring out any of the beasts or other characters, I’ll definitely be buying him a companion or two. Check out our Youtube Channel for more reviews and sub to our brand new Twitch channel to see reviews first and live! The good folks at HeroCross were kind enough to reach out to us and ask if we’d be interested in reviewing some of their figures. I always really enjoyed checking out their displays at SDCC in past years but hadn’t had any personal experience with them so, I jumped at the opportunity. 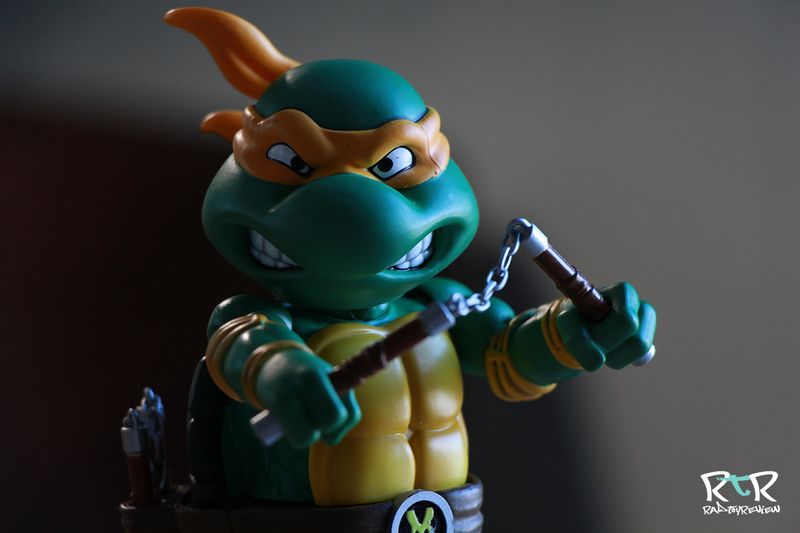 They gave us a a pretty wide range of figures to choose from… Predator/Alien.. Star Wars.. Batman… etc.. etc… After a little back and forth, I mentioned how the Teenage Mutant Ninja Turtles really caught my eye. So they sent me Michelangelo. Now, I’m not complaining, but I admit, when I was told we’d be getting the turtles to review, I was thinking they’d send all FOUR of them.. since you know, they’re a team of turtles and it’s hard to have turtles plural, with only one turtle… but that’s probably just me being greedy for more cool stuff to play with. That said, Mikey is looking a little lonely up there on the shelf all by his lonesome so let me bust him out and get on with the review!